Usage notes: In old French slang, le pied referred to one’s share or due. It’s this meaning of pied, rather than "foot," that the familiar French idiom c’est le pied references. J’adore cette photo, c’est le pied ! I love this picture, it’s great! Ce serait le pied si je réussissais cet examen. It would be terrific if I passed this test. Other ways to say "great"
In the negative, ce n’est pas le pied* means "it’s not much fun, it’s no picnic, not that great." Cette classe, ce n’est pas le pied. This class isn’t much fun. Se divorcer, ce n’est pas le pied. Getting divorced is no picnic. 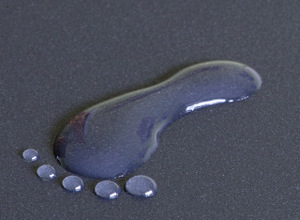 * Even more familiarly, ne is droppped: c’est pas le pied – learn more.